Use this text features slideshow to help students with their nonfiction reading comprehension. In order for students to comprehend nonfiction text, they must have a good understanding of nonfiction text features. Students should not only be able to identify text features within the text, but they need to understand the purpose of each of the text features and how it can help them understand nonfiction text more easily. For example, when students understand that headings divide the the text into easier to read sections and tell what those sections are about, it is much easier for them to identify the main topic of different sections. When students understand that special print, like bold and italics, is included to point out important words, then they are more easily able to figure out what is most important in the text. Feel free to use the nonfiction text features slideshow below to introduce students to 18 common text features. For full screen, press the arrows beneath the presentation. For this same information in chart form and a FREE printable text features chart, click here! You can get these slides as printable posters on TeachersPay Teachers. For a more comprehensive look at text features, check out my text features page. 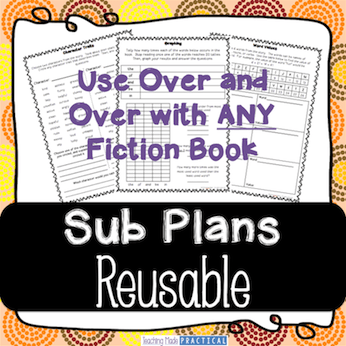 It includes ideas for anchor charts, low prep activities, technology integration, and more! Thank you for sharing your great slides. They are so clearly written and engaging for the students!! Thank you for sharing your cool ideas. I look forward to using these resources and appreciate how clearly and neatly they are. I am so happy I discovered your sight. Thanks for all your work and creativity. I just discovered your website and am very impressed by the content and ideas you are offering. I’m looking forward to exploring more! Thank you! Hope you find some useful resources!